The Knitting Pirate » In Which the Pirate Turns a Heel. « In Which the Pirate Leaves the Knitting at Home. I just love how the stitches of the pattern flow into the stitches of the heel flap. The flap itself was easy enough, once I remembered to purl through the back loop on the wrong side of it, but turning the heel took three tries for some reason! Usually I'm not that dim-witted about following a pattern, but the first time I miscounted stitches so the heel was off-center. I ripped back. The second time, I got started and lost my place. I ripped back. The third time, I turned everything else off - music, both computers, and phone - and concentrated very hard on getting it right - and here it is. There's one thing about this pattern that I don't understand. 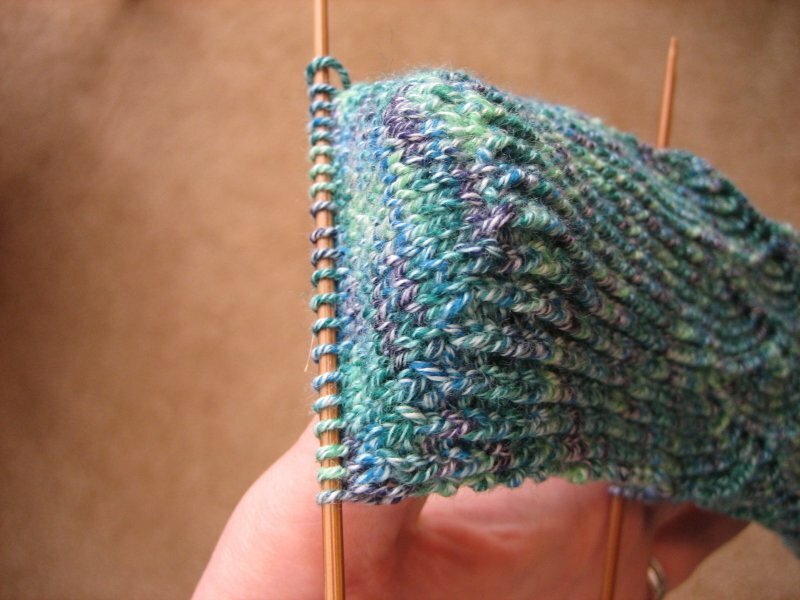 After the gusset stitches are picked up, and you start knitting the pattern on the top of the foot, with the decreases, and stockinette stitch on the sole, there's a comment that says Note: On Rows 17-22 of Chart B, there will be one extra st on Needle 3 (37 sts). What do I do with that extra stitch? Right now, it's pretty confusing, but maybe it will make more sense when I get up to that point. 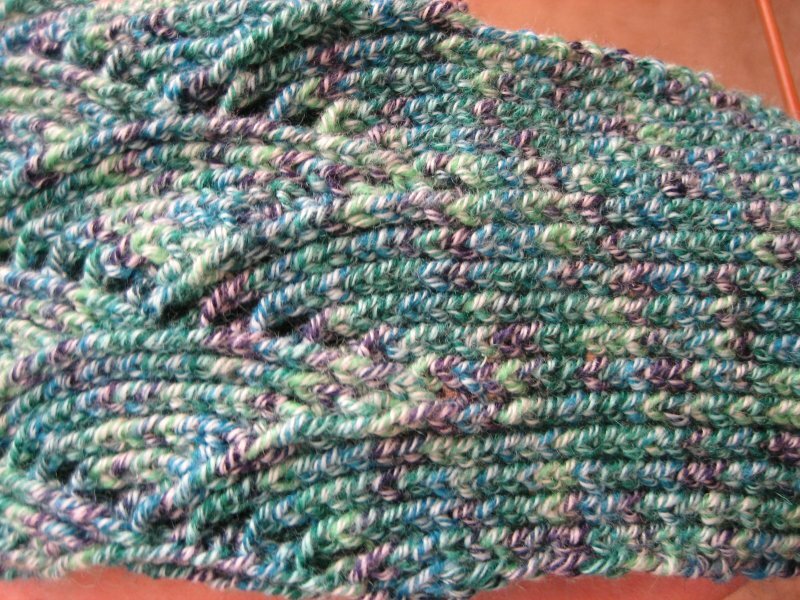 This entry was posted on Friday, April 13th, 2007 at 23:33 and is filed under pomatomus, sock. You can follow any responses to this entry through the RSS 2.0 feed. Both comments and pings are currently closed.